Many apologies for being pretty inconsistent with posting recently. Life. Such a bother. At any rate, I thought I would post to tell you about my new musical project, American Sketches. It has been mentioned here before as a work-in-progress thing and I have even posted some rough versions of the pieces. I am happy to say that the project is complete. 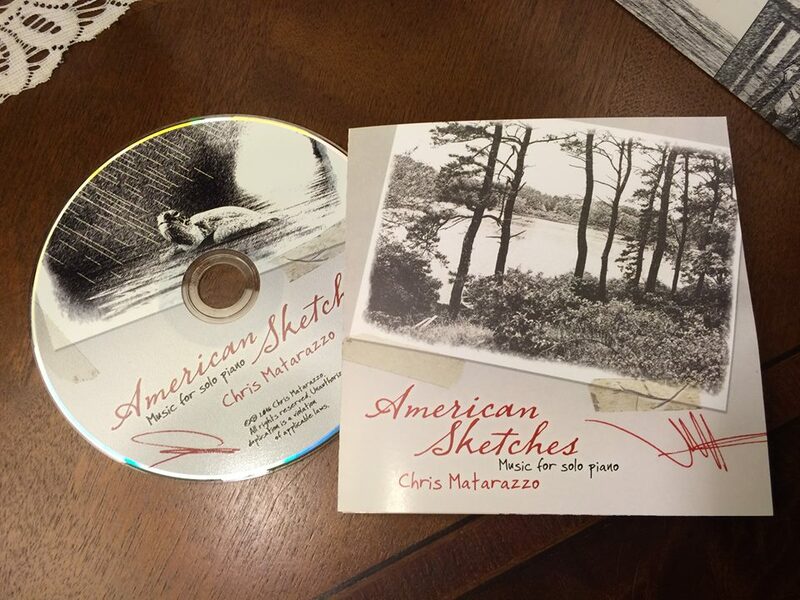 It is a CD of piano pieces that are all, thematically, tied to my own version of the "American experience." The best way to describe the music is that it is "impressionistic." Each piece is entitled with a place or scene and the music is meant to recall my own experience with that scene -- the feelings and...well...impressions. I wanted to make an actual CD, even though that is going out of fashion, for two reasons. 1) CDs sound better than MP3 downloads and (2) I wanted to create a cool package, because I miss the days of listening to music and either reading album liner-notes or flipping through a CD booklet. My sister, Gina Matarazzo a professional designer and artist, who now does books but who designed CD packages for many years, did the work. The beautiful photography on the CD is by my lovely and talented wife, Karen (who also designed this site for me), and Gina used computer magic to turn the images into "sketches." 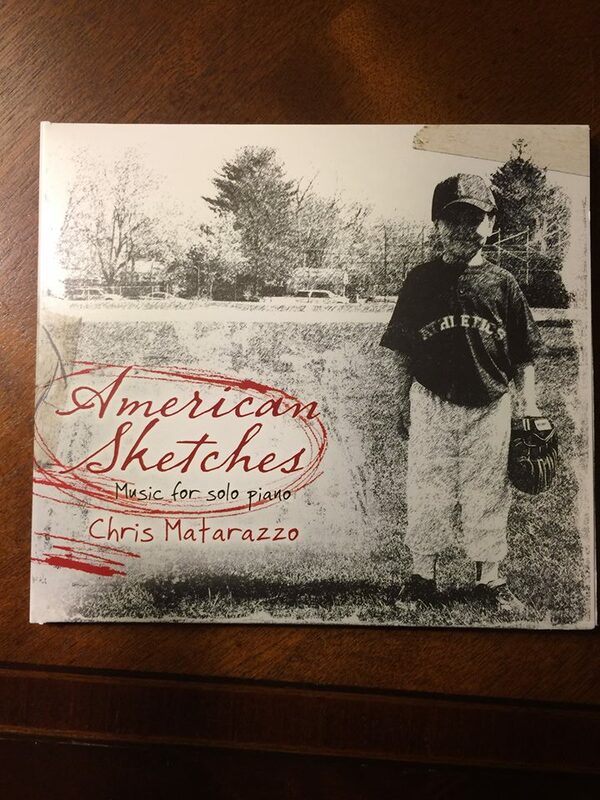 The cover is a photographic "sketch" of my son, Will, seven years ago, on the baseball field. In looking for images, I found this in some photos that Karen, had taken over the years. This one struck me as timeless looking and it was the perfect reference to the piece "Little Boy, Right Field." The back of the box contains the track listings, but, also, a picture of the moon in the morning sky, a reference to the piece "The Morning Moon," which is based on something my father never finished composing before he died two years ago. I finished it for him, because I had always loved it. 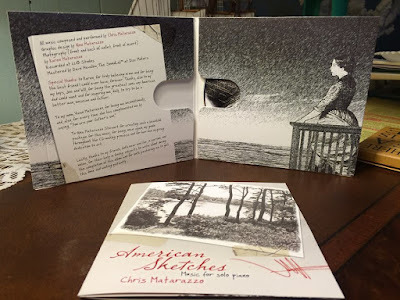 The booklet insert contains the back-stories to each of the pieces on the CD, as well as internal illustrations of some of the pieces. The photo on the outside is of Widow Harding Pond, on Cape Cod -- the pond that gives the title (and mood) to the piece that is its namesake. 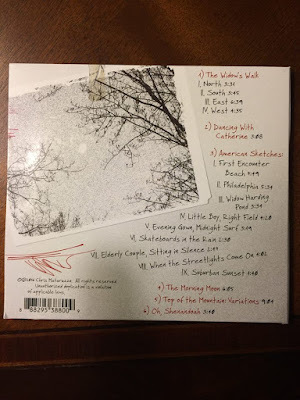 The inside of the CD box contains the "thanks yous" and credits as well as an illustration of a whaler's wife on a "Widow's Walk" waiting for her husband's ship to come home...a reference to the "miniature symphony," "The Widow's Walk." Thanks to everyone who reads for their continued support. I'm very proud of this one.